Free with any hybrid service, an annual Hybrid Electric Service at your local Motorline Toyota Centre is the best way to protect the health of your vehicle for years to come. 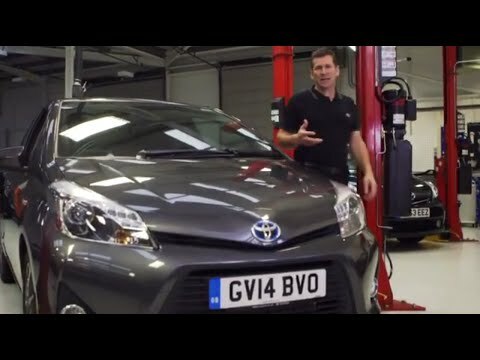 A full test of the whole Hybrid Synergy Drive® system will be carried out by one of Toyota-trained technicians who will help you fully understand the condition of your Toyota hybrid. You will be given an extensive written report that will provide you with the itemised information from your Hybrid Electric Service and our technician will then ensure you fully understand this information, enabling you to make an informed decision on the next steps. The Toyota Hybrid Electric Service is the best way to ensure the optimal performance of your vehicle. By scheduling the health check annually you can spot any issues early and respond before they turn into bigger problems. The Toyota Hybrid Electric Service is included with any Hybrid Service, but if you're not due a service, you can still benefit at a cost of £45. This great value is combined with the added benefit of an extension to the warranty of your battery. With each Hybrid Electric Service you will get up to 1 year or 10,000 miles extension (whichever comes soonest) on your hybrid battery cover which can be renewed up to the 10th anniversary of the car's registration with no limit on total mileage.